Battle Chasers was originally a comic book series from WildStorm and Image Comics, released under the Cliffhanger label. Fitting, since the ninth issue of the comic ended in a cliffhanger with no resolution for something to the tune of 17 years. 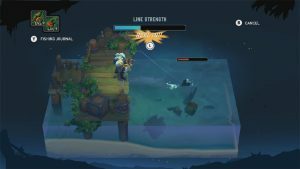 The creator of the series left comics to pursue a career in video game design, and Battle Chasers fans finally received an olive branch in the form of Battle Chasers: Nightwar, which features the characters from the late nineties comic books. So is Battle Chasers: Nightwar worth chasing, or is this a case of needing to let something go if you love it? Let’s find out. While Battle Chasers Nightwar heavily uses themes and characters from a comic book from over a decade and a half ago, the game does a phenomenal job of introducing players who may have never before heard of these longstanding and colorful characters. The game opens with all of the cast present on an air ship when a sudden attack by unknown attackers causes the crew to be wildly thrown from the ship. 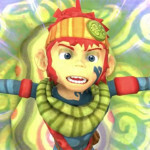 The first character players get to become acquainted with is the energetic girl, Gully, who fights using a pair of mechanical gauntlets that give her enormous strength. Don’t let this one get away. Jump on the couch and play with a copy of Battle Chasers: Nightwar from Amazon! Shortly thereafter players will encounter Calabretto, a gigantic war golem who embodies the gentle giant archetype, as well as the legendary swordsman, Garrison. The initial push of the story has these three attempting to reunite with the powerful wizard Knolan and voluptuous bounty hunter Red Monika, before getting pulled into a larger plot on the island in which the group crashed. A lot of the character development after the group reunites becomes optional, with a fair portion of it delivered via scenes after staying at the inn every so often, finding notes and letters scattered about the world, etc.. It does turn into a kind of typical save the world type story as far as the main plot is concerned, with a lot of the character development requiring you be on the lookout for it. As a turn based RPG, Battle Chasers tasks players with exploring overworld and dungeon maps and, if a player touches an enemy symbol, transports players to a turn-based combat arenas- it’s very similar to classic JRPGs in this regard. 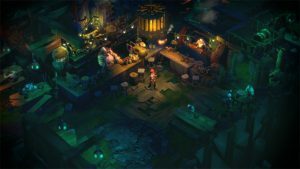 Battle Chasers introduces the characters gradually over the opening hours of play, and also introduces a variety of different gameplay roles that each of those characters can utilize so players can experiment a little bit with the new skills and gear that they find while wandering around and exploring dungeons. Exploration is done in a kind of isometric perspective, and while in dungeons players will be able to use specific skills of the controlled character to traverse areas or find extra loot- for example, Gully can slam the ground and break up weak walls which can expose new rooms. It’s very similar to the action tools from Wild Arms where you could use bombs outside of combat. 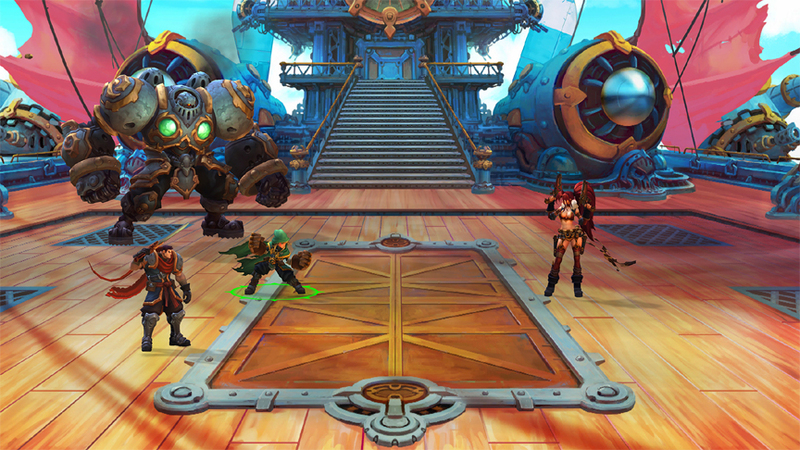 As far as combat goes, Battle Chasers is a strong example of a balanced turn based RPG battle system. You control three characters in battle, and any early encounters can be beaten by players just picking their strongest attacks and brute forcing their way through the whole thing, though that doesn’t last very long. Players will need to use a variety of strategies during later game battles, and especially during new game + fights (NG+ has a one-time difficulty increase that can make certain strategies deprecated). Gully can make a great tank with her defense and HP stats, while Monika makes a great evasion tank with great damage dealing capabilities. Garrison is an extremely efficient attacker, Calibretto the golem, interestingly enough, makes a great healer, and Alumon and Knolan are additional healers with reasonable damage output. Buffs and debuffs play a very strong role in combat, and proper utilization of the overcharge mechanic is paramount to outlasting some of the longer encounters and dungeons. As with many RPGs, players have a HP stat and a usable resource stat in mana (it functions the same as MP, TP, etc.). 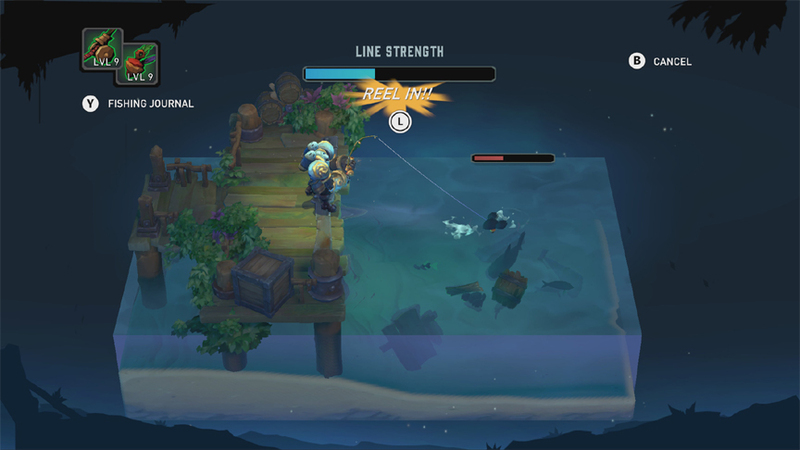 What Battle Chasers does to separate itself from the competition is when a character performs regular attacks they generate overcharge, which can be spent like mana but doesn’t carry over from one battle to another. Some skills will deal more damage or trigger status ailments by consuming overcharge, notwithstanding it allows you to keep DPS high by letting you use your strongest attacks rampantly, or heal without spending any of your stored mana. A Battle Burst meter that fills based off the combined actions of your party characters that allows for tide-changing skills that can save you from a very bad position during a battle. Each character can be built in one of two ways in their specialty, and you can respec your build at any time. Gully can be a defensive tank or can take more offensive skills, Garrison can specialize between attack damage and critical hits, or haste and bleed damage, etc.. Since you can take the points invested back at any time and reinvest them, experimenting with new builds isn’t punishing at all and doesn’t force hours of grinding like some turn based RPGs are known for. Stacking attack power and stamina was largely all I did to complete the game, though there are other stats like haste that can make it so you can execute attacks faster after selecting them, but focusing on just the two made for a reasonable first playthrough. For those who care about replayability: Battle Chasers: Nightwar does feature a new game + mode where your characters are all reset to level 1 but maintain their perks, traits, and other bonuses from their previous level ups. 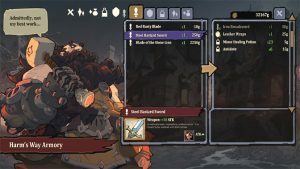 Unfortunately equipment doesn’t carry over in a new game +, so if you did substantial grinding to acquire a specific piece of gear, that’s going to be lost until you grind for it in the new playthrough. Similarly, there’s a bestiary that, after beating the same foes several times, unlocks more information about the enemies you’re fighting, such as their exact health values. 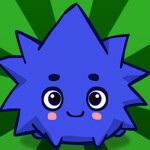 Players accumulate various items which they can use to craft new weapons and items. Having the proper components improves odds of a successful crafting session, though you can substitute components in exchange for a lower success rate or lower overall stats. Conversely, using more components or higher rarity items may improve the values of the crafted item. 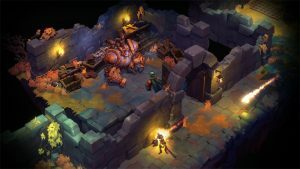 For the most part, crafting isn’t exactly something you will use until much, much later into the game, though upgrading the blacksmith will introduce a large number of benefits all throughout the play time of Battle Chasers: Nightwar. The game roughly takes about 25-30 hours to complete, with even more time invested if you want to run through new game+. Graphically, Battle Chasers: Nightwar looks superb. The graphics both in docked and portable mode of the Switch look great. All of the characters are animated extremely well, and the visual fidelity of the game holds up quite well on Switch. The music is among the best parts of the game, with a fantastic musical score that evokes a lot of fantasy and steampunk vibes. The only downside to the Switch version of the game, however, are strangely long loading times. 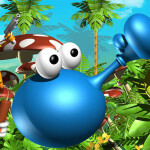 Sometimes a battle can have a load time of 30 seconds just to fight one or two enemies, other times it may load the battle sequence reasonably fast and without any real problems. There is also an issue with the game stuttering during certain attack animations with multiple enemies in combat; the flashier the attack, the worse the stuttering gets. 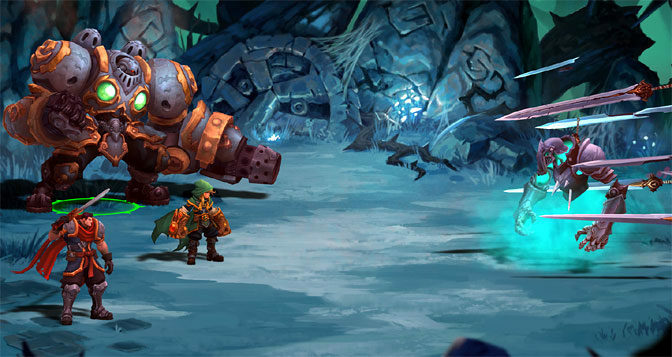 Overall, Battle Chasers: Nightwar is a great little turn-based RPG. 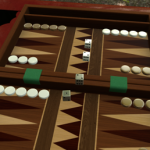 It’s extremely competent in everything it presents to the player. Outside of the typical Switch porting woes, Battle Chasers holds up as a solid RPG experience that can keep a player busy for a couple dozen hours, and can definitely be a great title for those who want a new RPG or are fans of the still, sadly, unfinished comic book series. 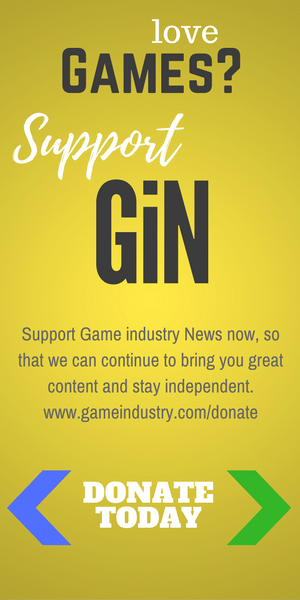 Those who don’t enjoy turn based games or RPGs should probably stay far, far away from this game as it doesn’t do anything that will pull in those who already dislike that genre of game.